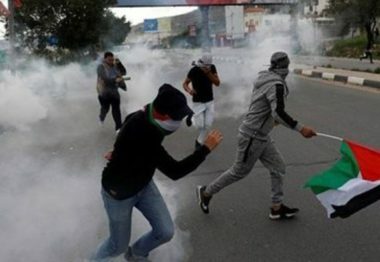 Several Israeli army jeeps invaded, Thursday, Sebastia town, north of Nablus in northern West Bank, and caused many Palestinians to suffer the effects of teargas inhalation. In related news, the soldiers abducted at least fourteen Palestinians from several parts of the occupied West Bank, and continued the closure imposed on Azzoun, near Qalqilia, for the fifteenth consecutive day. Israeli Navy Attacks Palestinian Fishing Boats In Gaza.